First, The Martian, based on the 2011 novel by Andy Weir, is getting rave reviews, especially of course for Matt Damon‘s performance. The film has received positive critiques, some might even predict an Oscar for Damon. We’ll see won’t we? The film will be released on October 2. Beasts of No Nations has received good reviews as well. Directed by Cary Fukunaga, this film is also based on the novel of the same name by Uzodinma Iweala. It centers around a boy from a West African country, whose family is torn apart by war and is forced to become a child soldier. Abraham Attah is getting raves for his portrayal of the young child soldier and Idris Elba is menacing warlord. The film will be released October 16, on Netflix. Be warned that this film is a bit hard to watch, it deals with a very tough and tragic subject. This will be on my must see list of films to watch. Tom Hiddleston had two films presented at the festival. I Saw the Light and High Rise. The first is a bio film on the late country legend, Hank Williams. Hiddleston and Elizabeth Olsen, who played his wife and manager Audrey, received great reviews for their work, but according to the critics, the film itself was a bit disappointing. Variety‘s Andrew Barker sums it best: ” Marc Abraham’s Williams biopic “I Saw the Light” fails to mirror its subject, focusing on the footnotes, the asides and the marginalia instead of the singular genius at its center. 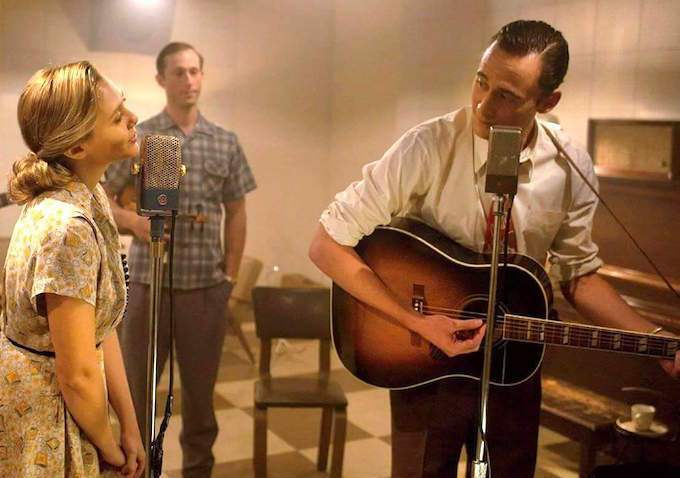 Despite a thoroughly committed, impressive performance from Tom Hiddleston as Williams (and an even better one from Elizabeth Olsen as his first wife, Audrey), the film tackles the life of one of the 20th century’s most seminal musicians with all the passion of a stenographer, making for a dull, unfocused slog through what should have been an effortlessly cinematic story.” I’m still interested. This will be on my must see list of films to watch, when it comes out November 27. High Rise, which is also based on J.G. Ballard‘s 1975 novel of the same name, is set in a luxurious, high-rise building. In the words of one critic the tower block building, “features the collapse of said building’s microcosm of society.” Hiddleston is Robert Laing, a young doctor who moves into the building. I only read a few reviews on this one, but in my opinion it’s better to read the book before the film. No word on when the film will be released, but I’m sure we’ll hear about it soon. Other films that were featured at TIFF: Demolition, The Danish Girl, Anomalisa, Kill Your Friends, and Good Night Mommy. You can read the reviews of these and other films here: TIFF Film Review: High-Rise Consequence of Sound by Sarah Kurchak. Scroll down and you’ll see those mention and other film reviews. I hope you liked the post….it took a bit longer than expected, but it was worth it. Enjoy the rest of your weekend, be blessed! 19 Winners and Losers of Toronto…..by Jeff Sneider.